Jump into the world of BMWs with this CNBC Original documentary that chronicles the story of how the company went from a struggling to a leader in luxury cars. Although BMW is now know as a highly successful luxury car brand, the company's beginnings were another story. 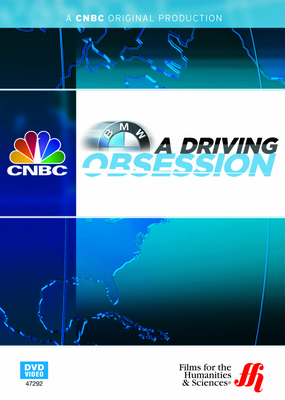 Award-winning reporter, Carl Quintanilla, details the story of BMW then and now in this documentary film. BMW is a leader in the luxury car industry and is working hard to maintain that image. This film goes behind the scenes of BMW's Tech Center where engineers come together to design the perfect car, leaving no detail untouched. See the process of how new BMWs are designed from sketches to the finished product. Also featured in this film are issues of sustainability in the auto industry, competing with new Chinese cars, and a look at the Rolls-Royce in Goodwin, England.